SKU: 5200. Categories: Closeouts, Inventory Reduction Bargains & Overstocks. The Puijpull corkscrews are designed to handle the rigors of everyday use be it in a busy restaurant or active entertainment household! Each corkscrew Has a built in foil cutter and non-stick spiral worm. 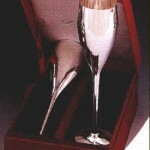 Available colors are Black, Burgundy, White, Yellow-Gold, brushed nickel, gold plate and Satin Silver. 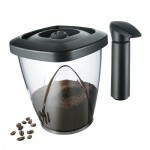 Designed to handle the rigors of everyday use be it in a busy restaurant or active entertainment household! Foil cutter and non-stick spiral. The only uncorking machine you can put in your pocket!! 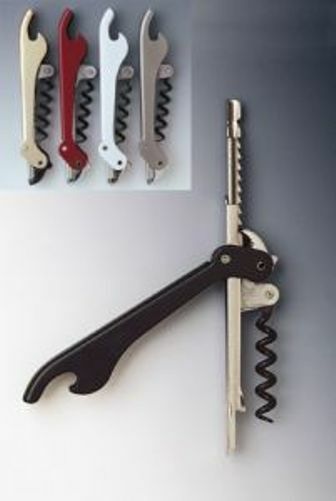 The new & revolutionary Puigpull corkscrews work like a car jack. You can ease out the cork by actually ratchetting it out slowly. No more broken corks or cracked bottle necks! 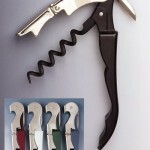 This corkpuller is acknowledged to be one of the best designed corkscrews on the market. Comes with built-in foilcutter. More than simply a corkscrew, the Puigpull corkscrews are a piece of design innovation! Relieving your hands from any difficult cork removal, the Puigpull corkscrews utilize a ratchet system that effortlessly pulls the cork out of your favourite bottle of wine! This ingenious piece of pocket-sized wine equipment has a patented ratchet system that relieves the strain on your hands when removing wine bottle corks. Start by using the incorporated foil-cutter, then just screw in the worm to the cork, as you would with any other corkscrew. From here the Puigpull corkscrew comes into its own – turn the unit upright, and extend the silver body out so it becomes a lever. 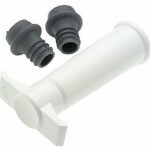 Simply pump the lever and the ratchet system will effortlessly pull the cork from the bottle! The last integral component to work out is the name – how the heck do you pronounce it? Well, it’s pronounced ‘Pweeg,’ and comes from the Spanish inventor Ramon Brucart Puig of the Puig hotel and wine business. Now when you show off your latest wine discovery to your friends, you can impress everyone with a bit of background knowledge, and your ability to pronounce the word, Puig! We also carry many inventory reduction / overprint closeouts. Our printing mistakes mean you save big if you don’t mind using a logo’d corkscrew! SAVE AN ADDITIONAL 45% !!!! & No more broken corks or cracked bottle necks! 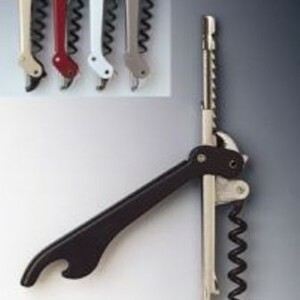 This corkpuller is acknowledged to be one of the best designed corkscrews on the market. Comes with built-in foilcutter. We have a supply of logoed/ misprints, overstocks, etc. at greatly discounted pricings. Our printers mistakes….your advantage. Buy them now at closeout prices Starting at JUST $15.99 ea.!!!. Be the first to review “Puigpull Corkscrews – Misprints” Click here to cancel reply.